At the time of writing, Justin Trudeau’s federal Liberal government is quickly going through the procedural motions to legislate Canadian Union of Postal Workers (CUPW) members back to work. While the Liberals’ strong parliamentary majority—along with support from the Conservative opposition on this issue—means such legislation will likely pass, it may be delayed slightly by concerns in the Senate, and by the New Democratic Party, who have pledged support for the striking workers, and have walked out of Parliament in protest of back to work legislation. Regardless, the legislation is expected to pass early this week. This move is controversial, for while business groups have claimed deep harm due to the CUPW’s rotating labour stoppages, the Supreme Court of Canada has been clear that the right to strike and bargain collectively are protected under the Charter. Thus, CUPW and the Canadian Labour Congress (CLC) have proclaimed that they will take all legal means to resist such legislation which they deem unconstitutional. But beyond the constitutionality of such legislation, it creates potential political difficulties for a Trudeau regime which owes its 2015 victory—at least in part—to strong support from organized labour who backed him as the strategic alternative to the Stephen Harper Conservatives. Indeed, Trudeau has attempted to preserve this relationship with labour—painting himself and his party as their ally in the building of an economy which serves ‘middle class Canadians.’ Legislating away postal workers’ right to strike may not on its own endanger Trudeau, but it will drive some individual and organizational labour support back toward the NDP. All of this is very important, and very much in flux, although these events have increased value when contextualized by our own history. Indeed, governments of all stripes have used legislative means to limit the right of workers to strike and bargain collectively, a recent example being the Harper Conservatives’ unconstitutional back to work legislation aimed at CUPW in 2011. It should be noted, however, that while Harper’s attacks on workers’ rights were troubling, they were far less systematic than those under the Liberal regime of Justin’s father Pierre Trudeau, who used various means to fundamentally limit workers’ rights. While this included the jailing of CUPW leader Jean Claude Parrot in the late 1970s for his union’s resistance to back to work legislation, two major policies struck at the core of labour rights in Canada: the Anti-Inflation Board (AIB, 1975-78), and the 6&5 anti-inflation programme (1982-84). During Pierre Trudeau’s time in power, inflation was a legitimate concern, being driven by various factors such as commodity prices, and causing major issues for those without the ability to raise wages or prices to respond to the increases of others. And while Trudeau initially tried to get labour and capital to voluntarily sign on to price and wage controls, this was a non-starter because the terms were unbalanced; workers would be expected to sign collective agreements locking them into sub-inflation wages for years, while employers would offer only limited promises to restrain price growth. But by the 1974 election, the inflation issue had intensified, and it became a key policy point for Progressive Conservative leader Robert Stanfield, who promised compulsory wage and price freezes. Trudeau seized the moment, attacked the plan as one which would be a transfer of wealth from labour to capital, and urged workers to vote strategically for him to stop the wage-freezing Tories. Despite this definitive stance, however, Trudeau would implement the very same controls he ridiculed the following year, which in essence controlled workers’ ability to bargain for wages above a certain percentage, and for large businesses to raise prices by a similar percentage. The problem was that while controlling wages was easy—employers already had the power to do so prior to the AIB, and had much more muscle here due to the state formally backing them—controlling prices was very difficult, as was controlling the income of well-compensated professionals like physicians and lawyers. The result was that wages fell sharply in real terms between 1975 and 1978, while the rate of prices were far less affected. Workers protested the AIB heavily, including a 1976 strike with one million participants, but Trudeau’s majority was unassailable. In sum, the AIB represented a three year suspension on the effective right to bargain, and was a gift to businesses, even if their prices were technically controlled. 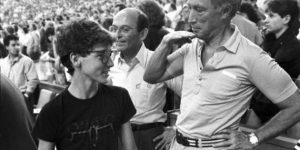 Because the inflationary issue had not ended with Trudeau’s defeat in 1979, he returned to the matter during his final mandate in the 1980s. This time, he took a more focused approach, but the effect was much the same. His 6&5 program was aimed at federal government expenditures only, meaning that the main target were federal public servants, who would be prevented from bargaining for a wage higher than 6% in year one, and 5% in year two. It must be said that both of these numbers constituted steep real wage cuts. Again, the ostensive goal was to control inflation, but Trudeau’s own private advice indicated that inflation wasn’t being driven by wages, and federal public sector workers had lost the most in terms of real dollars since the 1975 AIB controls. Beyond this, the 6&5 was used to evangelize wage controls to the provinces, municipalities, and private sector, who formed an alliance with Trudeau against collective bargaining. Here, as it was with the AIB, an inflationary crisis was seized by Trudeau’s government to institute large wage reductions on workers by constraining their basic rights. And the 6&5 came only a short while after the patriation of the constitution and enshrinement of the Charter of Rights and Freedoms. Though the right to strike and bargain collectively had yet to be read into the document, what we know now is that the legislation was a clear violation of Charter Section 2. Ultimately, the violation of workers’ basic rights isn’t new, forming what Leo Panitch and Donald Swartz have called a “permanent exceptionalism” which constantly has governments asserting that special action is required to deal with strikes, but that those actions aren’t attacks on the right to strike or bargain collectively. The reality, clearly, is that these actions are in no way ‘special’ or ‘exceptional,’ but have become a core element in our collective bargaining system. And while the Charter has a more expansive view on labour’s basic rights than ever before, back-to-work legislation can only usually be challenged after rights have been violated through a lengthy and costly legal battle. Justin Trudeau promised real change, and a new way of conducting industrial relations with federally-regulated workers. What we have seen, however, is a continuation of a bi-partisan federal labour relations which tolerate collective bargaining and strikes so long as those efforts don’t actually challenge the government or employer class. At the end of the day, the right to strike must be seen as a core human freedom, at home and abroad. Certainly, a postal strike at this time of year causes some complications, but we must remind ourselves that this fight goes beyond the CUPW workers themselves, and even our letters to Santa. Strikes, even (often especially) when they are unpopular, score essential concessions that tend to raise labour standards for all workers; after all, it was the 1981 CUPW strike which made maternity leave a mainstream expectation in our workplaces. For the vast majority of Canadians who labour for their incomes, today’s inconveniences are tomorrow’s victories, and in that spirit, we should wholeheartedly support workers exercising their rights. Christo Aivalis is an Editor of Active History, and a SSHRC Postdoctoral Fellow in the Department of History at the University of Toronto. He is the author of The Constant Liberal Pierre Trudeau, Organized Labour, and the Canadian Social Democratic Left.